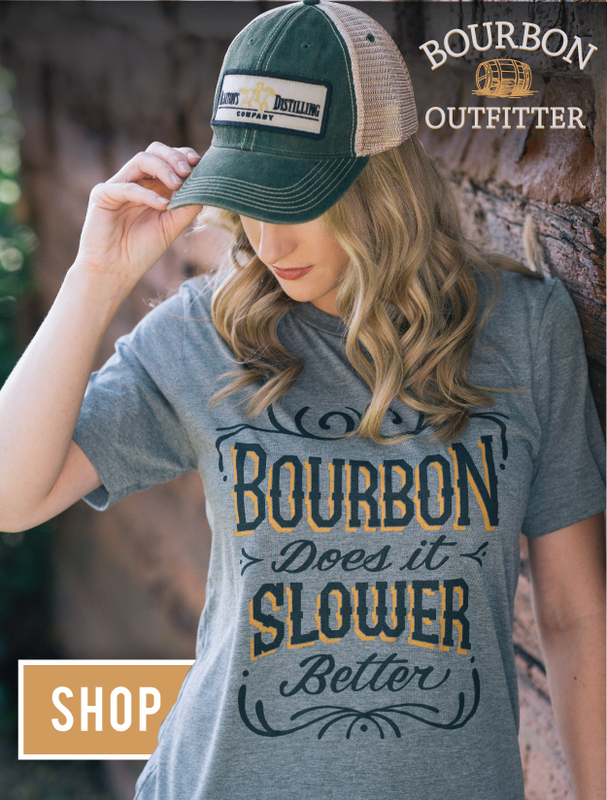 Pairing anything with Bourbon whether it be a side by side tasting or infused recipe is a winning combination according to us at The Bourbon Review. Here at The Bourbon Review we have featured Halloween Candy, Girl Scout Cookies, Bacon, Chili, and even Fried Chicken! Now we are talking Maple Syrup, we have teamed up with Watson’s Barrel-Aged Maple Syrup to offer you some limited single barrels of their great Maple Syrup! 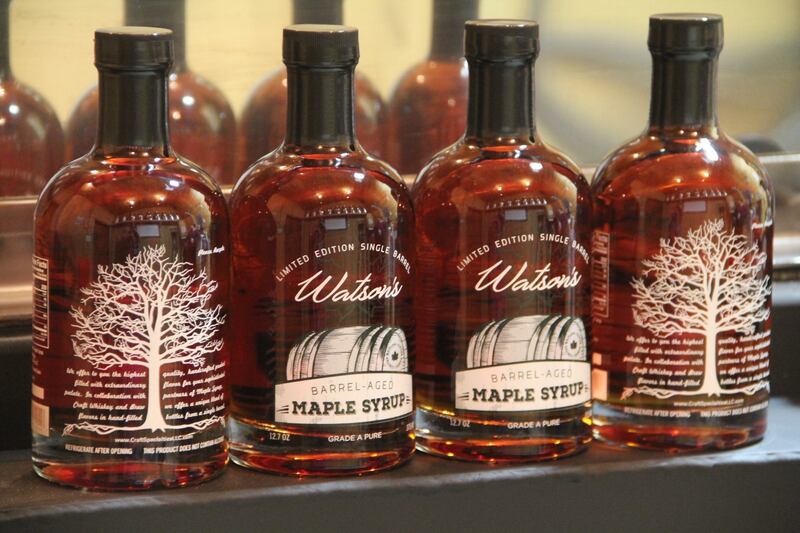 Watson’s Barrel Aged Syrup is carefully crafted right here in the USA. Watson’s start with hand picked barrels from bourbon and craft brewing and brought together the best flavors of those to create Watson’s Barrel-Aged Maple Syrup. Each barrel is carefully selected and then paired with all natural 100% Grade A maple syrup (no additives). The right quality, grade and color in the right barrel creating an exceptional maple syrup product. Aged in a 10 year old barrel that contained an outstanding single barrel whiskey that was handpicked by us. This barrels mashbill contained 75% corn 21% rye and 4% barley. Paired with an amber pure maple syrup from an early season tapping at the farm produced a simply outstanding barrel aged maple syrup. Syrup Note: Strong vanilla notes, maple hint of cinnamon with a light bourbon barrel finish. This barrel is best paired with items that want maple and vanilla to stand forward. Recommended Use: Use on subtle cocktails (vodka based), light desserts, pancakes or transform your holiday veggies into something amazing. Drizzle your ice cream with berries, cheesecake, breakfast tea. Starting with a 10 year old bourbon barrel from Heaven Hill Distillery then filled with Pipeworks Brewing Abduction Imperial Stout. After completing the aging and bottling process we rested our maple syrup in that bourbon stout finished barrel. To our knowledge bourbon and beer finished maple syrup is a rarity and from this brewery has never been done before. The blend of flavors creating a bourbon barrel imperial stout dark amber maple syrup. Syrup Notes: With a light bourbon and stout nose backed by dark amber maple syrup you can expect a robust maple flavor with hints of vanilla, medium oak, dark chocolate and a strong cinnamon finish. Recommended Use: Perfect with your French Toast and a touch of butter and a great cup of dark coffee. Drizzle it on pecan or pumpkin pies or to accent your cheese. Awesome accent to your BBQ ribs or to your BBQ sauce. This barrel is an 11 year old barrel from Heaven Hill Distillery with some truly great characteristics. This barrel was chosen because of its strong notes and deep characteristics. We knew this Robust Dark Amber syrup with a translucency of 29% would create a complex and robust barrel aged maple syrup. Syrup Notes: Expect a strong maple presence with deep barrel notes of vanilla, and the strong presence of dried fruit, cherries, plum and fig in the finish. This barrel is like no other barrel we will release in 2017.